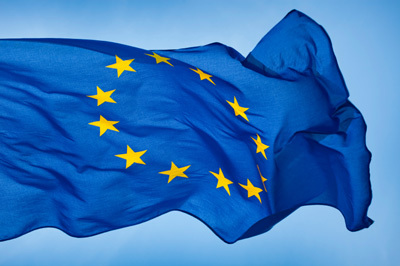 The 28 European Union governments today gave final approval to a first-ever plan to analyse medicines competition in Europe, with reference to drug prices, generics and biosimilars, and intellectual property rights. The final version was watered down after what sources said was heavy industry lobbying, compared to a leaked version published in Intellectual Property Watch two weeks ago, but still retains some strong provisions regarding pricing and competition. Under the presidency of the Netherlands, the Council Conclusions, available here, were published this week and the 28 health ministers are expected to approve it when they meet in Luxembourg on 17 June, according to sources. The earlier leaked document is available in this story (IPW, Europe, 25 May 2016). The approved conclusions call for the European Commission to conduct an “overview,” an “evidence based analysis,” and a “report on recent competition cases.” It is believed the Commission was reluctant to engage in these requirements. Some conditions and limits have been added to what remedies could be taken as a result of the outcome of the analysis. Another sensitive area, orphan drugs, was stripped from the conclusions, but may continue to come up, according to a source. Pursue the ongoing activities to streamline the implementation of the current legislation on orphan medicinal products and to ascertain correct application of the current rules and fair distribution of incentives and rewards and if necessary consider revision of the regulatory framework on orphan medicinal products without discouraging the development of medicinal products needed for the treatment of rare diseases. Where relevant, the analysis of impacts should also address – inter alia – the development of medicinal products and the effects of the pricing strategies of industry in relation to these incentives. The Commission will conduct the analysis on the basis of the information that is made available or gathered, including from the Member States and other relevant sources. To this end, the Commission should prepare by the end of 2016 a timetable and methodology for conducting the analysis as mentioned in this paragraph. Continue and where possible intensify, including through a report on recent competition cases following the pharma sector inquiry of 2008/ 2009, the merger enforcement pursuant to the EC Merger Regulation (Regulation 139/2004) and the monitoring, methods development and investigation – in cooperation with national competition authorities in the European Competition Network (ECN) – of potential cases of market abuse, excessive pricing as well as other market restrictions specifically relevant to the pharmaceutical companies operating within the EU, such in accordance with Articles 101 and 102 of the Treaty on Functioning of the European Union. "European Council Approves First-Ever Analysis Of Drug Prices With Look At IP Rights" by Intellectual Property Watch is licensed under a Creative Commons Attribution-NonCommercial-ShareAlike 4.0 International License.